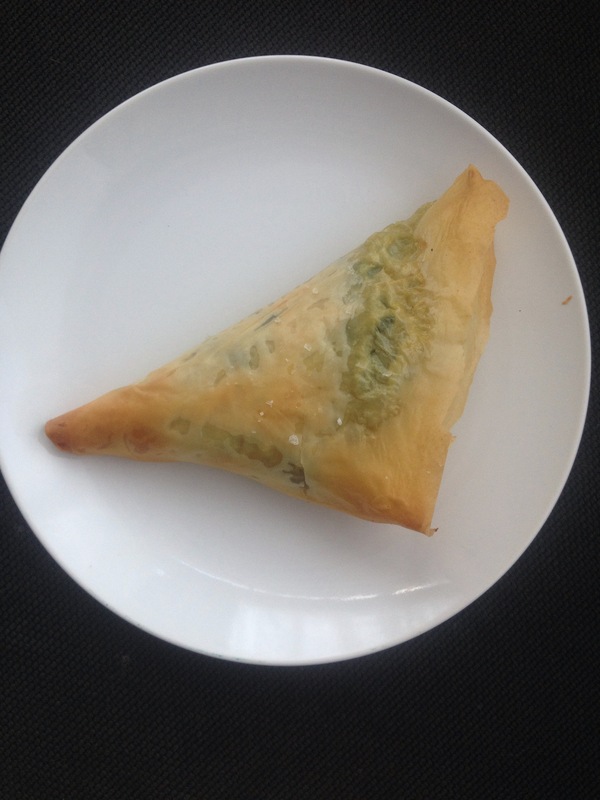 delicious delicious spanakopita! garlic! spinach! cashews! there is some room for tweaking here but i’m pretty happy with how these turned out. drain cashews and put them in a food processor. add lemon zest, juice, garlic, chili flakes, 2 tbsp nutritional yeast and 1/4 tsp salt. pulse until an even small crumb, looking like ricotta. i use baby spinach because it involves less chopping, no picking for stems and is usually already cleaned. laziness prevails! add a glurg of oil to a large pan and wilt spinach in batches. remove (leaving excess liquid) and place in a mixing bowl. add remaining 2 tbsp of nutritional yeast and season with salt and pepper to taste. add cashew mixture and mix thoroughly. heat oven to 375. lay out 3 layers of phyllo, brushing each with a bit of oil. cut the rectangle in half. add some filling and fold several times over into large triangles. repeat with the other side. 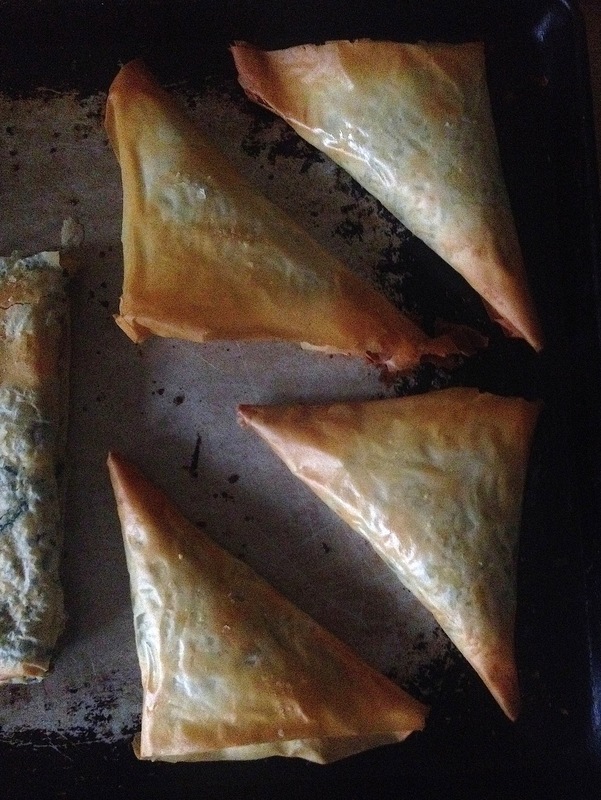 place them on a baking sheet and continue this process until you have 8 spanakopita or you’re out of filling! brush each with oil and sprinkle with large flake salt and a bit of black pepper. bake for 25 minutes until golden brown and beautiful.